The University of Illinois Springfield and Junior League of Springfield are seeking nominations for the annual Good as Gold volunteer awards. An awards ceremony will be held on April 23, 2014 at 5:30 p.m. in the Sangamon Auditorium Lobby at UIS. The awards recognize volunteers who use their time and talents to help improve the lives of others in the Springfield area. Over 40 awards will be given to Sangamon County community volunteers, organizations, and businesses. Individuals and organizations can be nominated in several categories including Heart of Gold, Youth Volunteer, Organization Agent of Service, and Distinguished Volunteer of the Year. The ceremony will also recognize one UIS staff member and three UIS students who have demonstrated an exceptional commitment to service. A Business Honor Roll sponsored by the Springfield Chamber of Commerce has also been added to this year’s awards ceremony. The honor roll will recognize businesses that have made giving back to our community a priority. 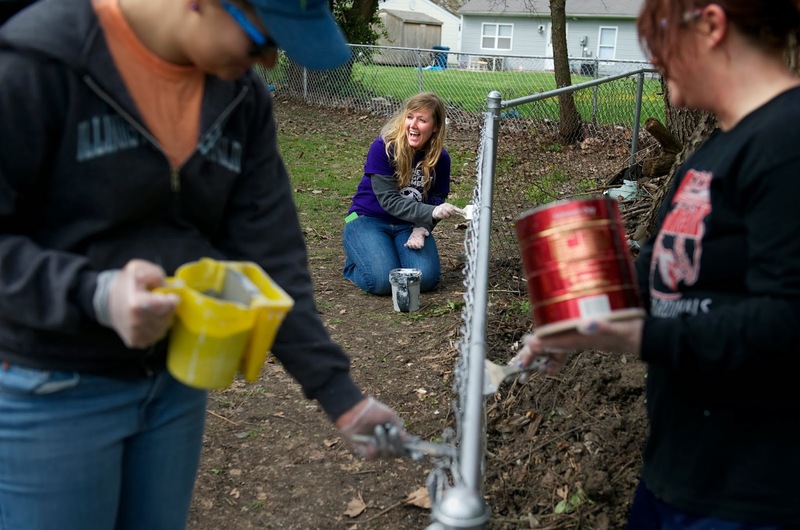 Over the past five years, the ceremony has recognized hundreds of volunteers for freely giving their time and talents to make Springfield a better place to live and thrive. Event details, descriptions of the awards categories, and the online nomination forms can be found at www.uis.edu/volunteer/communitypartners/goodasgold/. The nomination deadline is March 28, 2014. For questions please contact, Mark Dochterman, director of the UIS Volunteer & Civic Engagement Center at mdoch2@uis.edu or 217/206-8448.